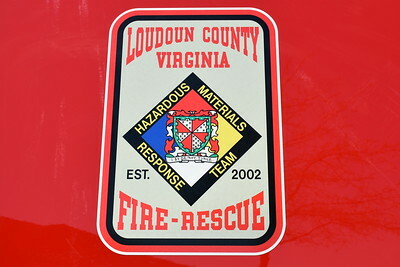 Emblem found on HAZMAT 619 from Loudoun County. 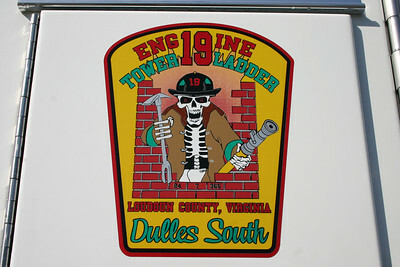 Station 19 - the Dulles South Safety Center. 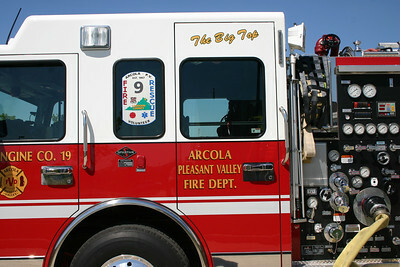 This emblem is on Engine 619, a 2012 Pierce Arrow XT. 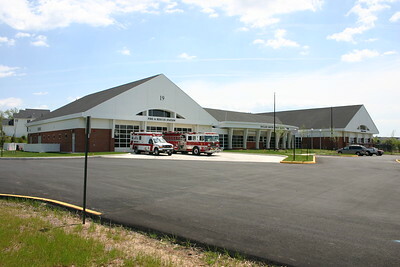 The Dulles South Safety Center in South Riding is home to Company 19. 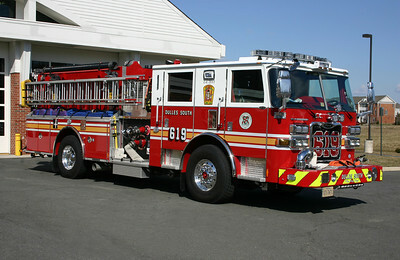 Engine 619 as photographed on the back ramp of Fire Station 19 in April of 2013. It is a 2012 Pierce Arrow XT with a 1500/750/50. 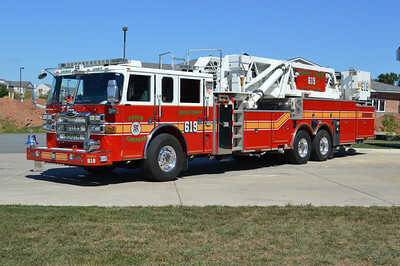 This is one of the first county engines that I have seen where in addition to the county logos, the Station 19 emblem is on the engine as well as the front bumper saying "Dulles South The Big Top". The Big Top refers to the original Station 19 that was a large tent. That tent today is located at the Training Center near the burn building. The officer side of Engine 619 as photographed in April of 2013. South Riding's Tower 619 as photographed in 2015. A 2007 Pierce Dash 95'. 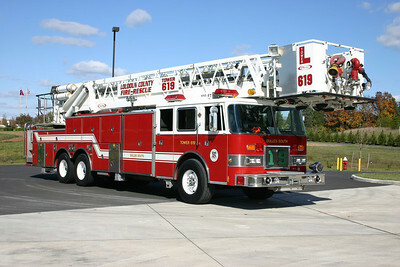 Tower 619 is a 2007 Pierce Dash 95' tower. The officer side of Tower 619. 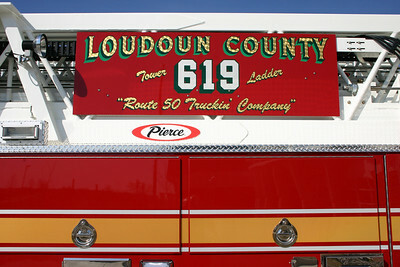 THe "Route 50 Truckin Company" as depicted on the ladder board of Tower 619. 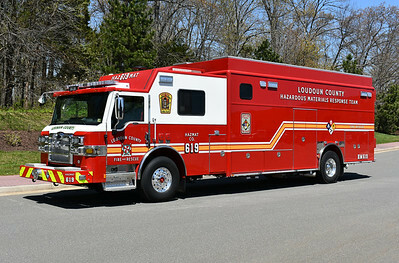 Loudoun County, Virginia HAZMAT 619 from South Riding - a 2018 Pierce Impel with Pierce job number 31287. Photographed April of 2018, the day it was delivered to Loudoun County. The crews of Engine 619 and Tower 619 cross-staff the county Haz-mat unit, Hazmat 619. It is a 2004 Spartan Gladiator built by SVI. 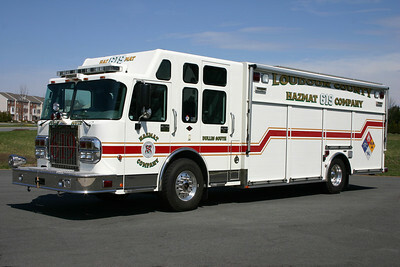 This unit will be traded in to Pierce once the new Hazmat unit is in service. 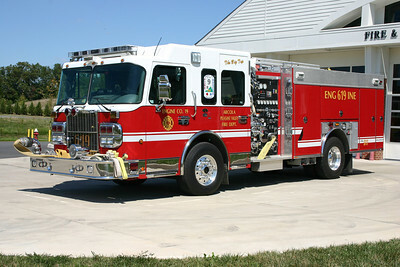 Rear view of HAZMAT 619. HAZMAT Support 619 was placed into service in April of 2017 at the Dulles South Safety Center in South Riding. HAZMAT Support 619 is a 2016 International 4400 4x4/Pierce with Pierce job number 29688. 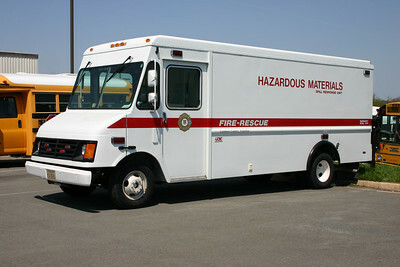 This truck primarily runs with HAZMAT 619 on all emergency calls. 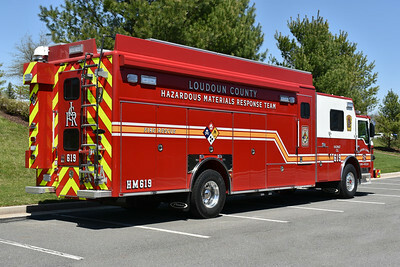 The officer side view of Loudoun County's HAZMAT Support 619, a 2016 International 4400/Pierce. 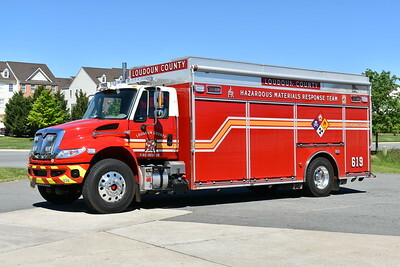 Although marked "622", once delivered this medic unit spent time at a variety of Loudoun County stations being evaluated and gathering input from the different crews. This 2016 Dodge 5500 4x4/2017 Horton would ultimately end up being assigned to Station 19 in South Riding. 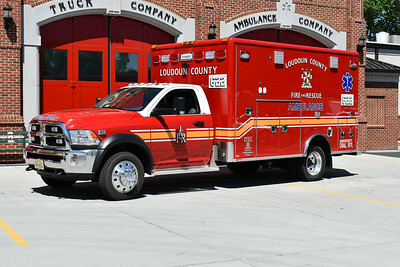 This ambulance had some "first time" features for Loudoun County - first Dodge with a gasoline motor (more common in the past were Ford F's with diesel engines), power load stretcher system, bench seat on the driver side instead of the officer side, rotating ALS seat complete with a harness system for crew safety. Photographed in May 0f 2017 at Station 6 in Ashburn yet running from Station 22 in Lansdowne. "The Big Top" refers to the original Station 19 which was a large tent to house the apparatus. 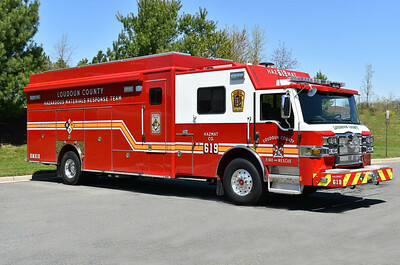 It can now be found at the Loudoun County Training Center by the burn building storing several of the Training Center apparatus. 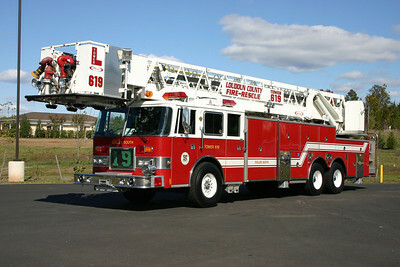 The original Tower 619 was this 1993 Pierce Arrow 100' tower that was placed into service in 2007. It was a loaner from a local Pierce dealer and utilized by Station 19 until the delivery of their new Pierce Dash 95' tower. 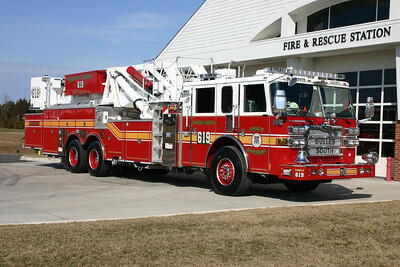 It was originally delivered to Chesapeake, Virginia where it ran as Ladder 5 and Ladder 4. 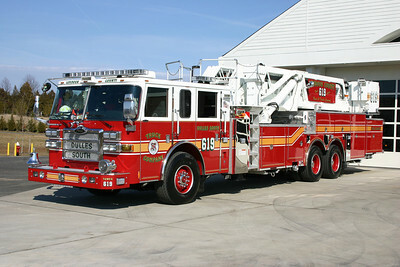 It was returned to the local Pierce dealer in 2008 and eventually sold to Chatham, Virginia. The officer side of the original Tower 619. 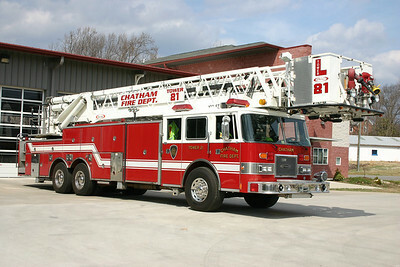 The first Tower 19 in South Riding now runs at Chatham, Virginia (located between Lynchburg, VA and Danville, VA). 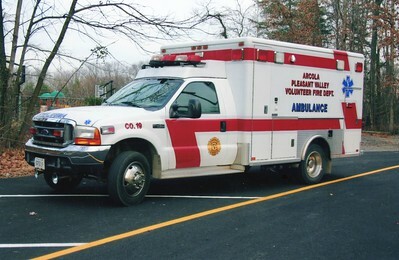 Former Ambulance 19, a 2005 Ford F-450 4x4/Horton. 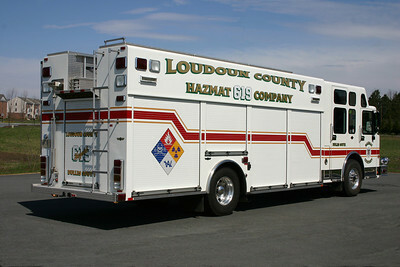 Loudoun County operates two HAZMAT Support Unit's, one from Station 19 in South Riding and Station 20 in Leesburg. 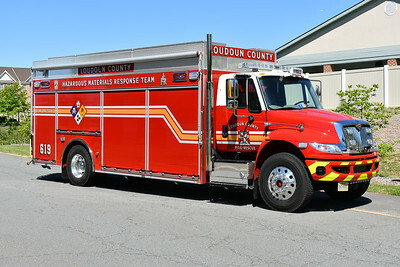 Both are ex- Loudoun County government trucks. This truck was housed at both stations, and is a Chevrolet/Union City Body Company. 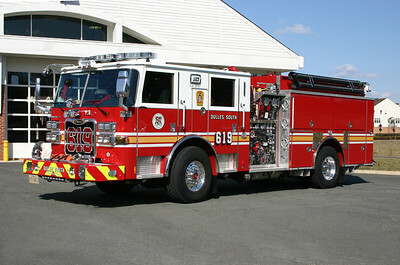 Both trucks were replaced with the arrival of the new Hazmat Support 619. 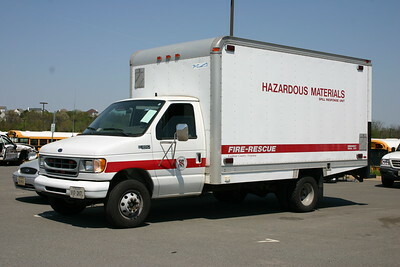 Former Hazmat Support 619, a 2000 Ford E-350/American Cargo.